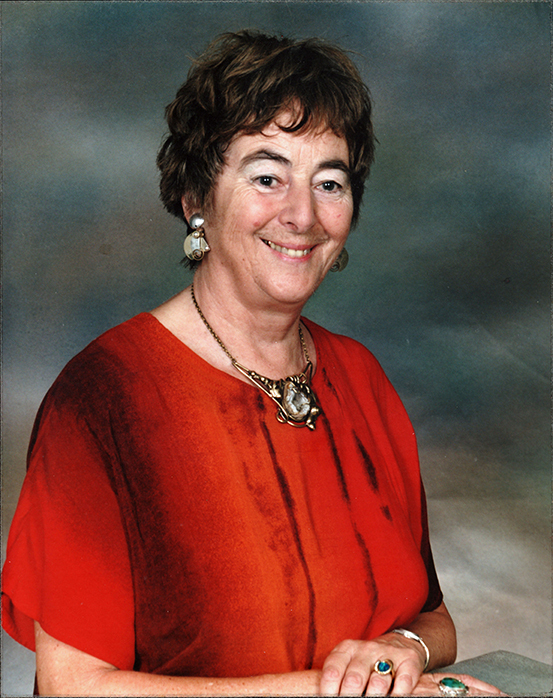 Many of you knew Joan McGrath personally and worked with her for the many years at Fanfayr. I wanted to share with you the sad news of her passing away. She was a passionate and creative visionary for the arts in the Kingston area. Her contribution to arts & culture was key in building the arts scene we have today in Kingston. She was a wonderful lady, and a character! Please see below the notice about the celebration of her life from her family . There will also be an opportunity at the Artfest Kingston Information tent to add your comments, thoughts and memories about Joan. In keeping with Joan’s wishes she has been cremated. A service to Celebrate Joan’s Life will be held at Chalmers United Church in Kingston, Ontario on 15 June at 2 p.m. Friends, and artists and craftspeople who knew Joan in Fanfayr, are cordially invited to attend. The service will be followed by a reception in McCallum Hall behind the church, which is located at the intersection of Barrie, Clergy and Earl streets in downtown Kingston. From highway 401 at exit 615 take Sir John A. Macdonald south to its intersection with Johnson Street (traffic signals), left onto Johnson Street and right at traffic signals on to Barrie Street. Parking on Saturdays is available without charge in the Queen’s University lot at the corner of Clergy and Barrie streets opposite the church. Joan often talked about the Tapestry of Life which was created and interwoven with many Threads from innumerable interactions, experiences and sources. As a Thread in her rich Tapestry of Life the family would love to hear your memories of Joan by leaving your recollections at http://joan.mcgrath.muchloved.com. Posted on May 11, 2013 by Lory MacDonald.